INVEST IN YOUR FUTURE...BE YOUR OWN BOSS! The perfect ''turn-key'' business opportunity! 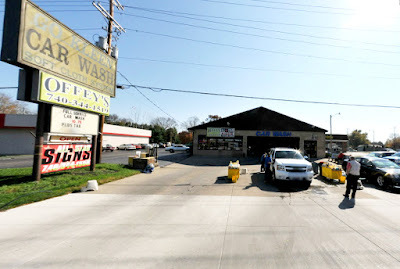 Established car wash business in the same location for many years. Gokleen Car Wash (business, equipment and land for sale but the name does not convey) located on a 1.08 acre lot (mostly paved) on an extremely busy and visible street. ~8,700 SF building with covered vacuum areas and 4 outdoor vacuum station. The car wash occupies 5,256 SF and the storefront area is 3,408 SF that could be rented to many types of businesses. It has 3 bays (2 - 10x8 doors & 1 - 14x8 door & 2+ car garage). 26+ parking spots. A great investment. Only $774,900! Call DeLena today!